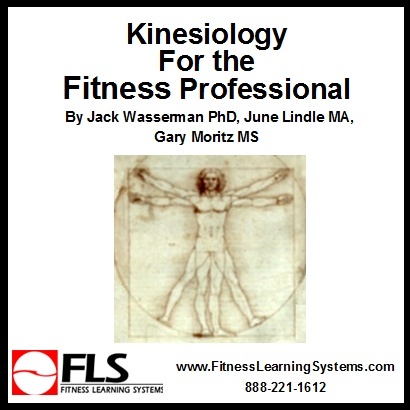 Kinesiology is the branch of physiology that studies mechanics and anatomy in relation to human movement. Understanding the fundamentals of human movement is important to the fitness professional. The fundamentals of human movement are the same for each individual. However, each individual’s body is unique (length of limbs, muscle attachments, muscle and tendon length, etc.). Therefore, movement is unique for each person. The fitness professional needs to have the ability to effectively understand and modify exercises to personalize an exercise routine. To achieve this, knowledge is needed in the areas of exercise anatomy and physiology. Understand the difference between physical activity and exercise. Describe the components of fitness. Explain the principles of exercise training. List and explain the ACSM guidelines for physical activity, cardiorespiratory, resistance, and flexibility training. Identify the major bones in the human skeleton. Identify the major muscles in the human body. Explain and demonstrate movement at the primary joints in the body including the planes of movement, axis of rotation, and muscles used.